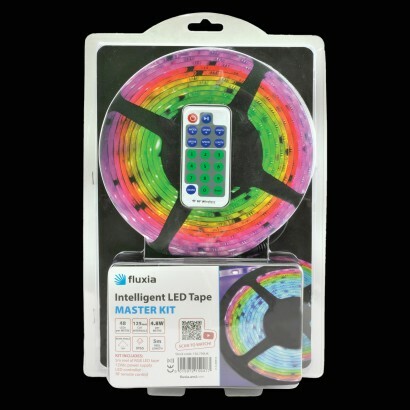 Trim out your interiors and outdoor features with magical light and highlight with colour change effects using the intelligent RGB LED tape kit. 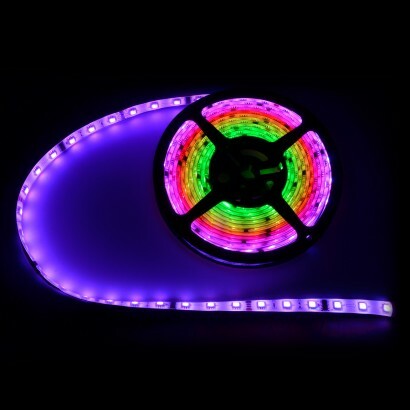 This 5m extension kit allows you to create runs of colour changing LED's from the master kit, all on a self adhesive backing for easy installation. 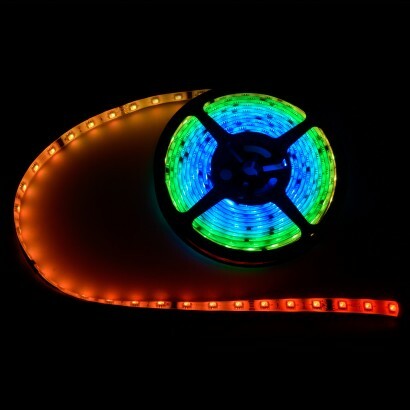 The master kit includes a remote control for the LED controller which addresses each LED independently to create a continuous cascade of colour. IP65 rated, the LED's in both the master and extension kits have an epoxy coating to protect the tape from general wear and tear, and being water resistant, your lighting installation can be placed outdoors as well as being easy to keep clean. 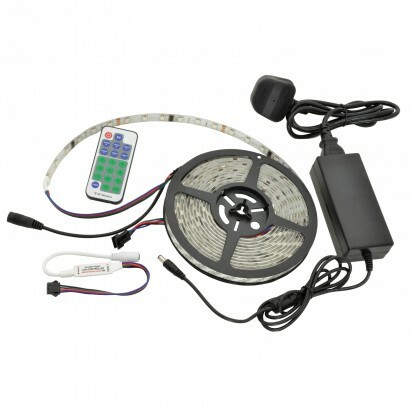 Extend the kit up to a maximum of 50m using 5m extension kits for made to measure colour lighting effects. Easy to install, simply stick, plug and play for effortless colour lighting in your home, garden, in motor homes, shops and bars, the possibilities are endless!